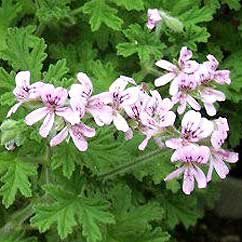 The essential oil is extracted from the plant Pelargonium graveolens or P. odorantissimum, of the Geraniaceae family and is also known as rose geranium. It is a strong smelling oil with a floral aroma and a hint of mint, and when extracted from the Odorantissimum plant has a slight apple undertone, whereas the Graveolens oil has a rosier aroma. 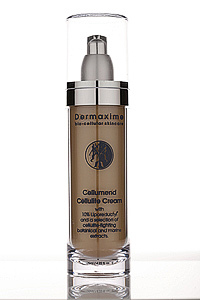 The oil is mostly colorless but can have a slight light green color to it, and has a watery viscosity. The essential oil is composed of various chemical constituents and includes the following: geraniol, geranic, citronellol, citronellyl formate, linalol (linalool), euganol, myrtenol, terpineol, citral, methone and sabinene. The therapeutic properties of geranium oil include the following: as an astringent, haemostatic, diuretic, antiseptic, anti-depressant, tonic, antibiotic, anti-spasmodic and anti-infectious. Geranium oil can be used to help in the treatment of the following: acne, bruises, burns, cuts, poor circulation, dermatitis, eczema and is good to relieve fluid retention and help fight cellulite.